Have you any idea how we locate problems within a sewer line when it is buried underground? If you said anything about digging a large trench and removing the damaged pipe you would be incorrect. Well, incorrect in how we approach sewer repairs. In Van Nuys and the surrounding area we conduct a video inspection in order to find a problem in your sewer line.If you have never heard of such a thing, let us at Rapid Plumbing explain exactly what we do as part of a sewer video inspection. At one time the only way to get to a sewer problem was to excavate a whole pipe and remove it from the ground. This involved the use of heavy equipment and typically left a huge mess damaging landscaping and the look of your yard in an attempt at finding a damaged pipe. 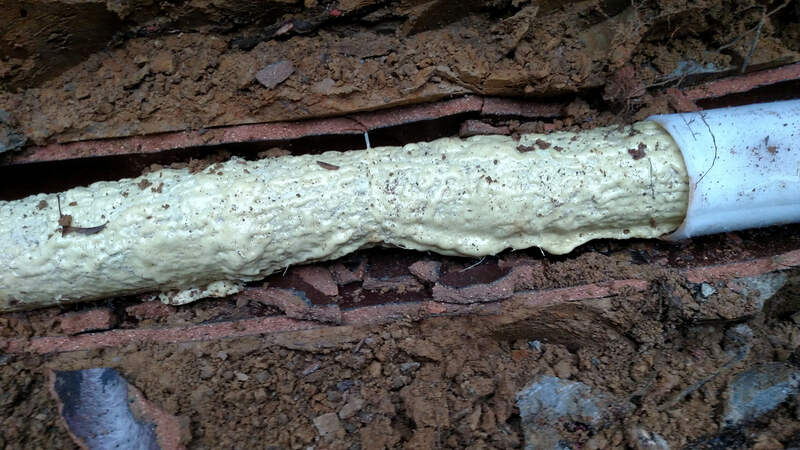 At Rapid Plumbing we use trenchless technology in locating and repairing damaged sewer pipes. There is going to be some digging in your yard regardless. The difference with trenchless technology is that we will only dig one or two small holes down to the pipe connections. That allows us access to the pipe and avoids the need for completely tearing up your property. Once we have access to the pipe connection locations – typically close to your building and one out at the street where your line meets a municipal main line – we can look inside. However, what we use to view the interior of your sewer pipe is a tiny closed-circuit camera. It allows us to take a very up-close view of the pipe from inside the pipe. Depending on what we find inside your sewer line, we will provide you with several different trenchless technology options that would be appropriate for the specific pipe repair. Once we discuss the required repair, we will carry on and fix the problem. It can be as simple as flushing out a clog to a new pipe liner or pipe bursting the old pipe in place and replacing it with a new one. By using trenchless technology, our Rapid Plumbing professionals will get the job done faster than excavation would have taken. This will save you a great deal of money on the cost of the repair. Plus, trenchless plumbing repairs last for several years, over 50 years at the very least which means you won’t have a problem with the pipe that was fixed ever again. Add to this that trenchless technology is kind to the environment and you have a winning combination. For your free estimate, contact us at Rapid Plumbing. We provide sewer video inspection service to the Van Nuys and surrounding region. It is an easy way to find out what is going on inside your pipes without having to completely remove them to figure out what the problem actually is. You can book an appointment by email or by calling us toll free at 1-818-938-2799.